We are a leading Manufacturer of live fresh milk vending machines, b2c grand filter bean coffee vending machine, live filter tea coffee vending machines and live bean coffee vending machines from Chennai, India. With the in depth knowledge of the various aspects of the industry, we have been put forth our clients a broad array of (Fresh Milk) Bean to Cup Coffee & Live Tea Vending Machines. Our offered vending machines find their application in various places like Offices, Homes, canteens and restaurants. These machines are manufactured using optimum quality raw material like steel and other basic components that are procured from reliable vendors of the industry. Beans grinded and collected in the powder form and ready to brewing for filter coffee. Dust can be used for Live Tea decoction will maintained in high temperature with boiled process our (B2C Grand Coffee & Live Tea Vending Machine). Can be consumed Bean to Cup Coffee and as well as Live Tea. 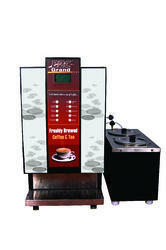 We are the first manufacturer of this kind of vending machines in India. With the in depth knowledge of the various aspects of the industry, we have been put forth our clients a broad array of Fresh Milk Bean to Cup Coffee & Live Tea Vending Machines. 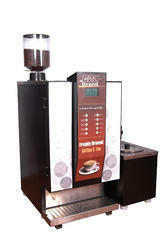 Our offered vending machines find their application in various places like Offices, Homes, canteens and restaurants. These machines are manufactured using optimum quality raw material like steel and other basic components that are procured from reliable vendors of the industry. 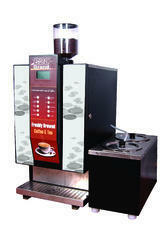 10-12 cups will dispense in per minute also suitable for Factory Setup. Special Exclusive Features: Can be consumed Bean to Cup Coffee and as well as Live Tea. 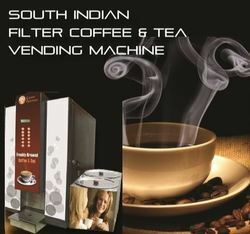 We are the first manufacturer of this kind of vending machines in India. Looking for Live Fresh Milk Vending Machine ?